WHAT IS BLUE GROWTH ? Blue Growth as an agenda has been on the cards for a number of years without much in the way of movement. Why is that? In fact things are beginning to move with the United Nations SDG 14 and the EU's H2020 innovation and research initiatives now beginning to bite. In our view a healthy ocean is the bedrock of all that blue growth drive needs to succeed. A healthy ocean means ridding us of the plastic menace to give the other facets a chance to blossom. "To make it through the crisis, Europe needs the contribution of all sectors of its economy. 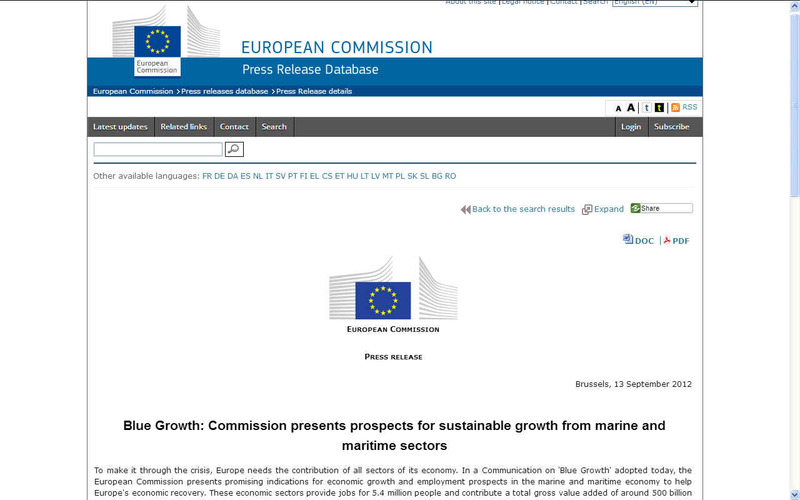 In a Communication on 'Blue Growth' adopted today, the European Commission presents promising indications for economic growth and employment prospects in the marine and maritime economy to help Europe's economic recovery. These economic sectors provide jobs for 5.4 million people and contribute a total gross value added of around 500 billion euros. By 2020, these should increase to 7 million and nearly 600 billion euros respectively. To realise this potential, the Commission establishes that obstacles hindering growth have to be removed and smart solutions to boost new sectors need to be implemented. By promoting marine research and innovation, by supporting innovative SMEs, by addressing skills needs and by encouraging innovative products and solutions, Europe can unlock the untapped potential for growth in its blue economy while safeguarding biodiversity and protecting the environment. Traditional sectors such as maritime transport and maritime and coastal tourism will gain in competitiveness. Growing and emerging sectors, such as ocean renewable energy and blue biotechnology, can become a key to creating more jobs, cleaner energy, and more products and services." In almost 6 years, how much has been achieved and what needs to be done to make it happen? Well, for one thing ocean plastic waste is now fairly and squarely on the table as a major issue. That is advancement in itself. But, the volumes of plastic entering our oceans is increasing. Plastic soup in our oceans is choking the planet. Turning a negative into a positive, this represents an opportunity to re-evaluate our throw away habits and spark a greater collective ambition from our global heads of state, to speed up change, with marine life at stake and our ocean bread-basket potentially gone forever, if we do not act fast enough to come up with a solution. WE ARE TOTALLY INDEPENDENT - We are not supported by any Government or Non-Governmental initiatives, grants or other contributions such as the G7 Challenge or Horizon 2020 calls for proposals, mainly because we know from previous H2020 applications that these calls and challenges would most likely preclude us, or are so expensive to apply for that we could not afford to take the chance and waste our limited resources in applying. We are thus working on crowd funding stages that we will release in advance of any previous call for project funding being near to completion. As and when we succeed with the targets that we set ourselves, it will not be because of any politician that you have voted for, it will be because you decided to cut out the middle man and contribute to our work directly. Please only give what you can afford, just as our volunteers only work as and when they can. 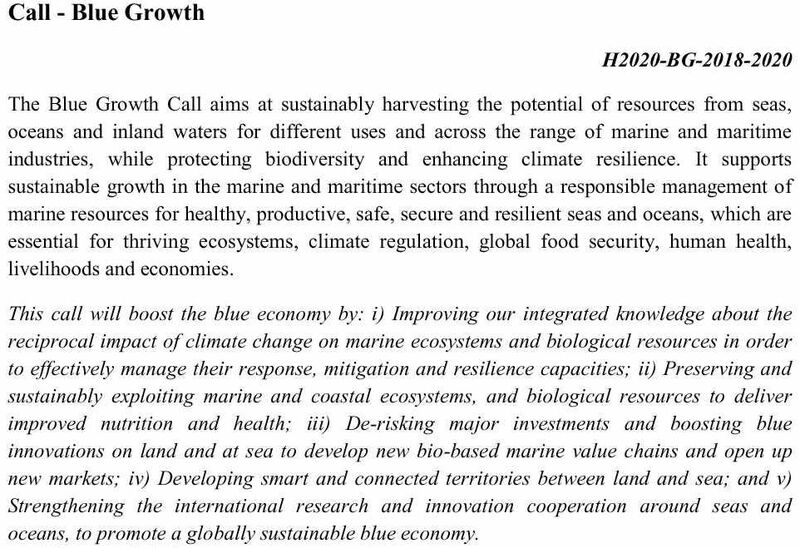 Blue Growth is the long term strategy to support sustainable growth in the marine and maritime sectors as a whole. 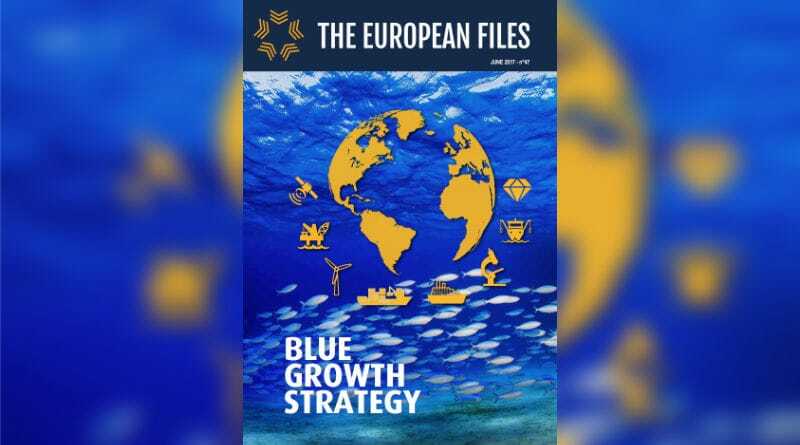 The 'blue' economy represents roughly 5.4 million jobs and generates a gross added value of almost €500 billion a year in the European area alone. The ideal was adopted in part with reference to economics reflections by Gunter Pauli and the Blue Economy. In 2014, the ocean economy in the U.S., which included six economic sectors that depend on the ocean and Great Lakes, contributed more than $352 billion to their GDP and supported 3.1 million jobs. Such figures will be equally significant for Africa, Alaska, Australia, Canada, China, India, Japan, South America and all around the globe. Further growth is possible internationally in a number of identified area with the appropriate incentives. 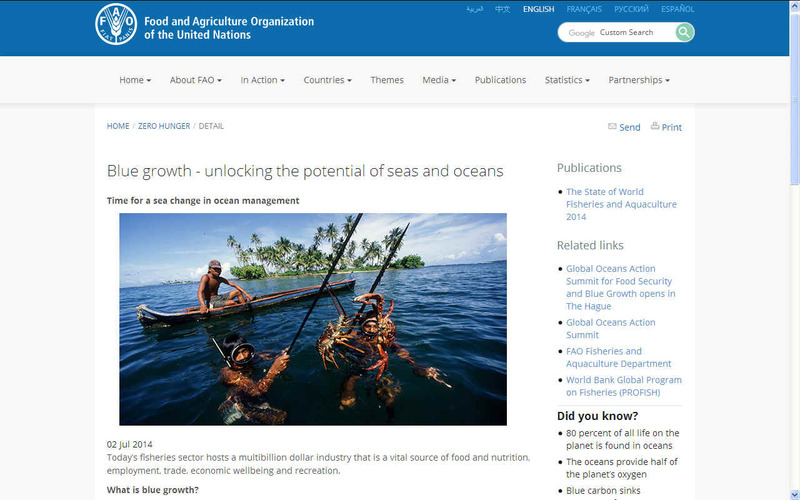 Thanks to the efforts of the EU European Commission, UN Food and Agriculture Organization (FAO), Global Ocean Commission and others, the term "blue growth" is now accepted internationally with the objectives and criteria being acted on by almost all stakeholder nations who may benefit from embracing points 5-10 below. The land based market economy, as it presently stands, is not capable of delivering to poor people as persistent rates of poverty and malnutrition demonstrate. The saying that “the rich get richer and poor people get poorer” is confirmed by the existence of poverty and unemployment. Poverty is spreading in absolute numbers mainly to our youth and more mature citizens. Governments accept this hardship and hide behind the need to pursue austerity while pursuing the impossible task to balance the budget. Proof of this is that the retirement age has been raised, an attempt to bridge the skills gap and milk those at both ends of the age spectrum - who are required to work even where there is no work. GAME CHANGER - The SeaVax ocean plastic cleaning vessel is seen here on an AmphiMax beach launcher. 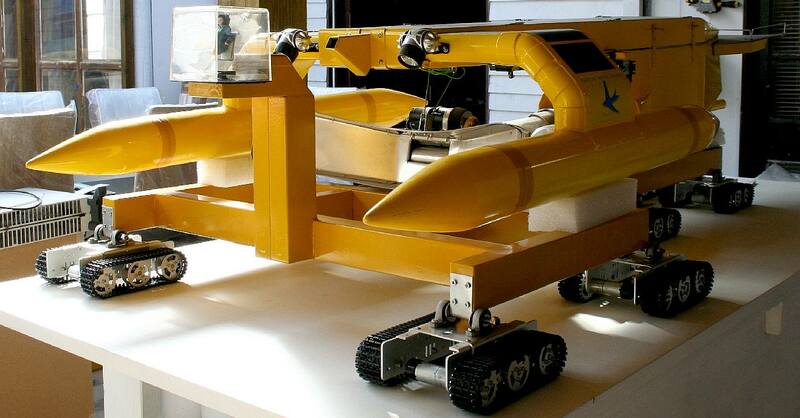 The two vehicles constitute an ocean cleaning rig, where the launch and recovery vehicle is designed to service and produce SeaVax vessels is large volumes with significant costs savings. We need to conduct more tank test experiments to prove this concept before we move on to something bigger for the oceans. Something that we can mass produce at affordable prices - at locations all around the world - in a coordinated effort to create a World Oceans AntiPlastic Alliance. Copyright © photograph 25 June 2018 Cleaner Ocean Foundation. All rights reserved. At the moment the common enemies of blue growth are: 1. Marine Plastic Pollution, 2. Climate Change, 2. Over or Pirate Fishing. These issues affect tourism and marine transport from fuel-burning pollution. 1. 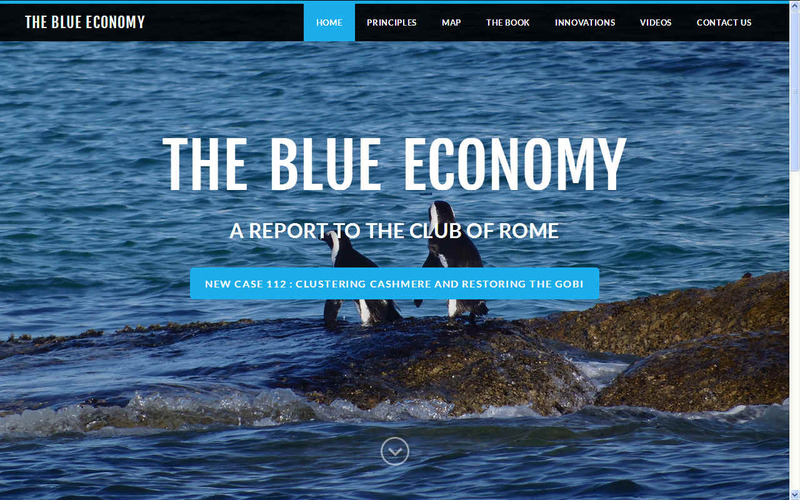 Anticipating future trends and demands – How to plan and accommodate for the Blue Economy? 2. Synergies versus tensions – How to foster synergies between maritime economic activities rather than tensions? 3. Stakeholder engagement – how to ensure that maritime economic development is transparent and inclusive enough? 1. Assess future spatial needs of a wide range of maritime sectors; 2. Discuss how the MSP process can facilitate a better understanding of the needs across maritime sectors stakeholders and ecosystems; 3. Share best practices on how MSP can really support the Blue Economy; 4. Discuss approaches and experiences towards synergies, co-location, etc. ; 5. Discuss approaches and experiences of conflict resolution and addressing spatial tensions. Blue growth strategy is the latest thinking to grow our ocean economy for a sustainable future world where there is food and energy security for every country and jobs for those who want to work on or in the sea. Hence, "blue" refers to water and "growth" refers to economics. Generally, "Blue Growth" is not location specific and there is no international strategy where each player must do certain things as part of their piece in a jigsaw. There is no world plan, agreement or fund to work to this end. Instead, each region has its own local agenda and areas of effort and concentrates on making their patch better with pockets of funding available for specific projects - as relate to targeted geographical areas. 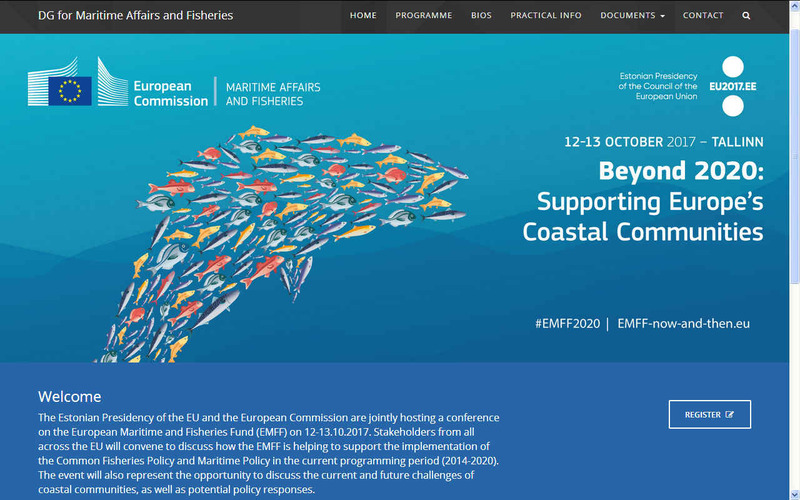 The good news is that the concept is spreading with the work of many organizations like the United Nations FAO and EU DG-MARE, getting the message across to many member administrations. 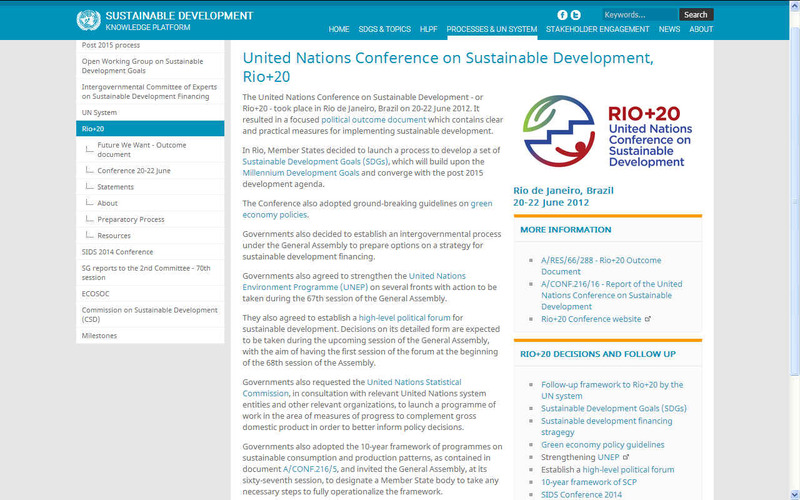 The UN's FAO in particular and the World Bank support location specific projects. Ultimately, blue growth is about gains the world over. An example of this is where improvements in ocean chemistry will benefit all nations due to the currents that continuously stir up and distribute polluted acid water around the globe - so that non-polluting regions who are keeping their patch clean are now dirty for no fault of their own - and there is no compensation mechanism for the clean nations to make a claim on the dirty administrations - where pollution from the untidy culprits reaches the shores of another. Rather than escalate the problem, the onus is on sharing knowledge and leading by example, such that other nations not yet at the stage where Blue Growth is high on their agendas, to help them to see the gains that raising the bar will bring for them in the long term. 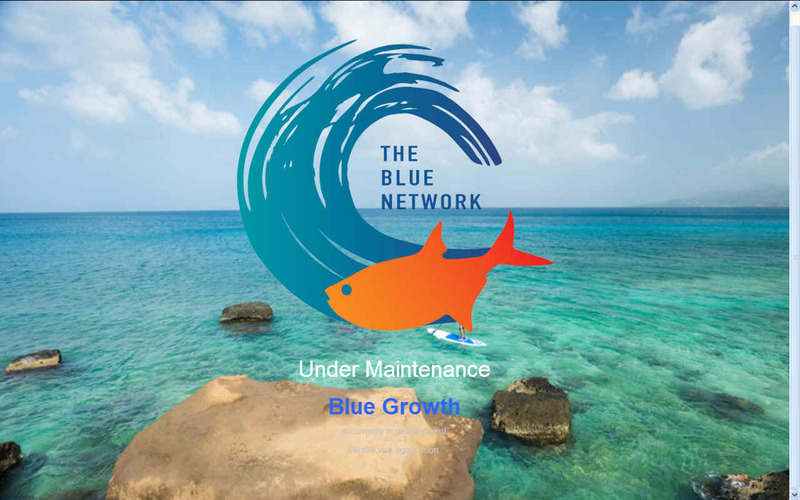 BLUE GROWTH - The Blue Economy responds to basic needs of all with what you have, introducing innovations inspired by nature, generating multiple benefits, including jobs and social capital, offering more with less. Solutions are first and foremost based on physics. Which one of these is the most important for you depends on your point of view, but all potential solutions that stand a chance of returning us to a sustainable society, depend on every one of us recognizing the problems and doing something about it, if that is within your grasp - and that is an Ocean Literacy issue - the problem being that most people on earth are not aware that this is a serious problem. Hence, the lack of awareness is a big stumbling block, triggering the Miss and Mister Ocean and World Aquariums: Our Ocean campaigns. Research is the bridge between the problems of today and the solutions for tomorrow. There are enough graphs of climate change, biodiversity loss, obesity and other negative products of the current industrial food system – to make the case for proper investment in long-term solutions and an appropriate, inclusive, ethical food (fishing and farming) research agenda. Yet, the evidence has been largely ignored. By loading up the oceans with plastics, oil and other pollutants we are harming the marine life that we rely on for food, where food security is vital to stability and there are more mouths to feed every day from diminishing agricultural and aqua-cultural resources. Is it possible to clean the (global) ocean up? At the moment deep sea trash deposits look as if they a there to stay, but there is hope that vehicles like SeaVax™ can make an impact on surface litter and gyre soups and so significantly slow deep sea deposits. At the moment this is just a dream for the team at the Cleaner Ocean Foundation, but with suitable funding to construct a prototype SeaVax™ the Foundation would be prepared to put theory into practice - and have already begun planning to build in the hope that support for this valuable research is forthcoming as part of the UN's Agenda 2030 sustainability drive. 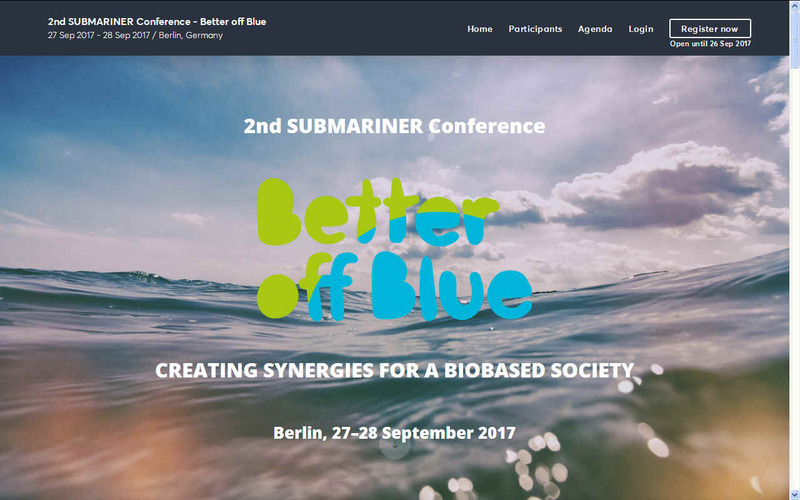 MARINE LIFE - Join us at #BetterOffBlue17 to create synergies for a biobased society! • Positioning the Network, its stakeholders and actions with a view to the European Commission’s Implementation Strategy for Blue Growth in the Baltic Sea Region and look beyond the BSR to the European and global context. Confirmed keynote speakers include: Bernhard Friess, Director for Maritime Policy and Blue Economy, Directorate-General Maritime Affairs and Fisheries, European Commission; Jakob Granit, Director General, Swedish Agency for Marine and Water Management; Christine Lang, Chair of the German Bioeconomy Council and member of the Baltic Sea Region Bioeconomy Panel. In an effort to feed the growing population we are plundering the ocean depths with giant trawler nets causing serious damage to ocean ecology and wild fish stocks. We must regulate industrial scale fishing by imposing serious financial penalties and boat confiscations if that is the only way to prevent unauthorized catches. Diesel subsidies for large trawlers should be banned and fines imposed for damage to the seabed. The logical conclusion is that diesel fuel subsidies are counter to blue growth and fishery regeneration. 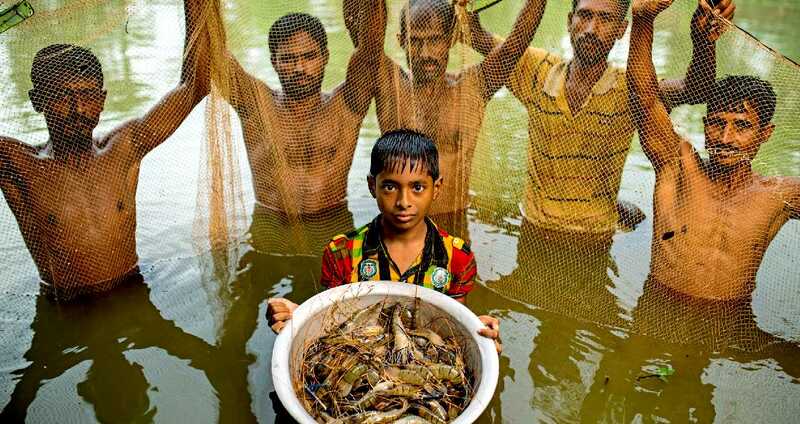 Is it possible to prevent over fishing? It is almost impossible to prevent illegal catches even with the rules for offshore fisherman and the quota system, and shore catch limits for anglers. Trawlers present a huge problem and by-catch, but with persistent monitoring, a reduction in harmful subsidies and improved technology, progress can be made. Climate change is affecting the chemistry of our oceans, melting the ice caps and potentially placing the whole planet in a crisis 'burn out' situation with a sulfur build up that is reducing reflection of solar radiation creating a feedback loop that warms the earth more. We simply must change our energy usage patterns to do all we can to reduce harmful emissions. What we need is greener vehicles for both land and sea transport. We also need green energy for our factories and homes, where air conditioning to cool houses and shops consumes large amounts of energy that should be offset with micro and macro generation schemes. RECYCLING OLD BUILDINGS - Solar House is an old generating building dating from C.1900 that formerly burned coal gas made on site from coal to produce electricity for a country manor house and a local Sussex village up until 1936. The village of Herstmonceux boasted street lighting and electric ovens by 1913 because of this enterprise. Today this monument to innovation in the age of electricity is being equipped with photovoltaic panels, a wind turbine and solar water heaters - to become all but self sufficient in energy terms. Strangely, the local authority objects to such eco-upgrading, apparently not realizing that the fight against climate change begins at home. The attitude of this council that should be urging property developers to go green is disturbing to say the least, and may be more widespread in the UK rather than an isolated case, where it seems that some councils are living in the dark ages in terms of planning policy that is not being implemented as it was intended by the British Government. All the more reason for an awareness campaign, to shake the cobwebs from the (uninformed) corridors of power. There is not much anyone can do to prevent population increases where humans are biologically programmed to procreate, other than offer educational support and contraception advice or even free contraceptives, where 'Human Rights' freedoms take precedence. That is why points 1-3 are so very important. In effect, we need to recondition the planet to allow for human expansion in circular economy fashion in the hope of achieving population equilibrium that does not displace other life on earth or lead to World War Three annihilation; hence the militaristic term: Food Security. The Cleaner Ocean Foundation is concerned with zero emission ocean transport and (technology) research and development that leads to cleaning up our oceans - so promoting Blue Growth. In reality, 'blue growth' is better described as: "Blue Green Growth." And the reason for this is because in order to be sustainable a transition to clean technology is needed. A CIRCULAR ECONOMY - Where our Foundation is all about conservation aiming for a truly Circular Economy, we will be looking at ways of using green energy to boost blue growth along with ways of working on land to reduce the waste that we dispose of in the sea. On this subject, responsible packaging and waste disposal on land is the obvious place to start where developed countries could and should have a comprehensive cradle-to-grave waste collection and treatment scheme, or where packaging is designed from the outset to be ocean friendly - to cater for the inevitable. OCEAN LITERACY - It is not that corporations will not work to this end, it is more that the owners of many organizations and their shareholders have not yet realized the harm that their current practices are causing, or that there is no real benefit from change, where change is costly and at the moment there is little in the way of replacement packaging. In the corporate world profitability reigns supreme. Anything that reduces profits, even change itself, may reduce dividends - and that is avoided by managers who fear for their jobs. Knowing about the dangers and the public's reaction to potentially carcinogenic ocean pollution is one reason for corporations to change because in such cases it can be more profitable to adopt change that the buying public would endorse, the problem being that most of the public are unfamiliar with ocean matters - hence the term: 'Ocean Literate.' If the majority of people on planet earth are not Ocean Literate, then a change for corporations is that much less attractive. If the general public were Ocean Literate, we would not have plastic gyres in the Arctic, Atlantic, Indian and Pacific oceans without a general outcry. The fact that these gyres have only recently been discovered is another factor. What you cannot see is not in your mind and ocean plastic (soup) is not visible to the naked eye, whereas the rivers of waste in Asia that dump plastic waste into the Indian and Pacific oceans is highly visible. Why then is nothing being done about recycling this waste in less developed regions? It all comes down to money. OCEAN CLEANING - Where dumping in the ocean is unlikely to cease altogether for many years to come, it makes sense to develop technology to deal with the fast that there is waste in the water and more pouring in every day. Around 10% of the world (700,000,000 million people) rely on the ocean for food, but in addition to our poor land management record, we are also polluting the seven seas with plastic that is toxic - so reducing the number of fish that we might harvest for food. POLLUTION - The use of plastic for packaging is just one horrifying example of major stakeholders using the most convenient means to get their product to market, while ocean literate policy makers watch marine life suffer as they grapple with ways to juggle economics and morals, hoping for a miracle to make these problems go away. We will be looking at the best projects that are aiming to tackle ocean waste, to include Boyan Slat's Ocean Cleanup Project and the SeaVax Cleaner Oceans campaign. These potential retrospective remedies are important, along with upstream projects that aim to reduce the plastic and other chemicals that we dispose of in our oceans, such as that of Prince Charles and Dame Ellen MacArthur. SUSTAINABLE FISHING - We will also be encouraging the development of fishing technology that hold out hope for not only monitoring catches, but also significantly reducing back catches with more accurate filtration that is intelligent to some degree, such as that proposed by altering the parameters of the SeaVax concept so that instead of targeting plastic, the vessel may target shrimps, sardines and krill. 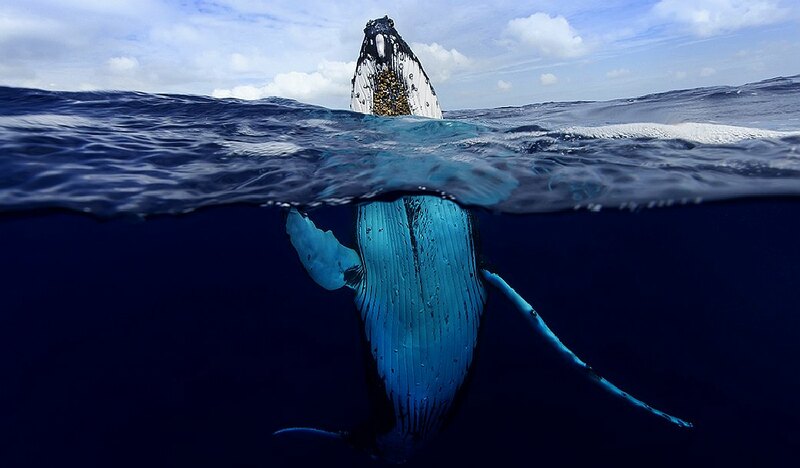 TAKING THE BULL BY HE HORNS - The EU have been leading the charge for cleaner oceans for a number of years. In 2008 they created European Maritime Day, that has turned into an event to share ideas and stimulate innovation. The next event will be hosted in Bulgaria at Burgas in 2018. GREEN TRANSPORT - Climate change is another major issue, with cargo ships and cruise liners causing appalling harm to our oceans as they burn dirty fuels at sea with the exhaust fumes being a major contributor to acid oceans. Cargo ships and cruise liners could and should be solar and wind powered like the SeaVax ocean cleaning drone, rather than diesel engine propelled. One of the reasons that shipping should be near zero emission is that the technology exists to make this possible - provided that it is developed. This might mean slower cruise ships and longer waits for cargo to begin with, but even there, cruising is not about speed and the planning for the transport of goods could be better planned to buffer for longer transit times. One of the longer term aims of the Cleaner Ocean Foundation is to promote clean shipping in a manner that is not as disruptive as freight and cruise operators might think - on the basis that informed buyers would not mind waiting a little while longer for goods if they knew it was needed to protect the oceans - rather than abuse the oceans. Once again, it all comes down to being Ocean Literate. The Conference also took forward-looking decisions on a number of thematic areas, including energy, food security, oceans, cities, and decided to convene a Third International Conference on SIDS in 2014. HAVE A HEART - Symbolic of our love of the ocean, this famous necklace inspired the team who are producing the Miss and Mister Ocean competitions when designing the crowns. To incubate ideas today, for a brighter blue economy tomorrow. As a priority we must halt the build up of trash in our back yard, examples of which are in remote regions that were previously unspoiled such as the Arctic beaches and Henderson Island. More than 300 million tonnes of plastic produced worldwide each year is not recycled, Dr Jennifer Lavers is quoted as saying. Researchers at the National Oceanography Centre (NOC) have found that, because of the ocean’s vigorous circulation, even remote, seemingly pristine habitats, are not isolated from human activities, and may be vulnerable to pollution and overfishing impacts. To investigate the potential connectivity scientists at the NOC used a state-of-the-art computer simulation of large-scale ocean circulation to track where the water reaching the marine protected area has come from. Researchers released virtual particles into the modelled ocean circulation at selected MPAs every month for ten years. They followed these backwards in time for up to a decade to determine where the water that flowed passed the MPAs had come from. This website is provided on a free basis as a public information service. Copyright © Cleaner Oceans Foundation Ltd (COFL) (Company No: 4674774) December 2018. Solar Studios, BN271RF, United Kingdom. COFL is a charity without share capital.